Must have WordPress Plugins for Performance Optimization, Security, Back Up, Analytics, Search Engine Optimization, Advanced Web Forms and Social Media Marketing. 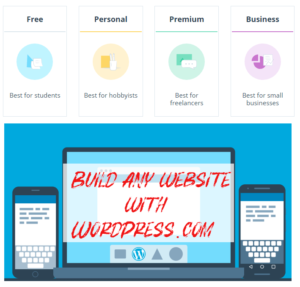 WordPress the most popular Content Management System has made it very simple and easy to build powerful business websites. WordPress is highly customizable CMS, thousands of plugins and themes are available to turn a simple blog into a powerful business website. The thing with WordPress plugins is to remember that sometimes less is more. WordPress allows you to install unlimited plugins but it does not mean you should install dozens of plugins on your business blog. Remember too many plugins can slow down your business website. Conflict with other ones can cause your WordPress site to crash or malfunction. So what plugins you should use should be determined by your business needs. In this article, I am going to share some of the best and must have WordPress plugins for business websites. Choose your plugins wisely. For example, If you are not going to publish a lot of images on your blog, don’t install an image optimization plugin. Simply use an online service such as compressor.io to optimize the featured image for every blog post. Page load speed is a critical factor for SEO. You can improve your website speed by using speed measuring tools and WordPress plugins. 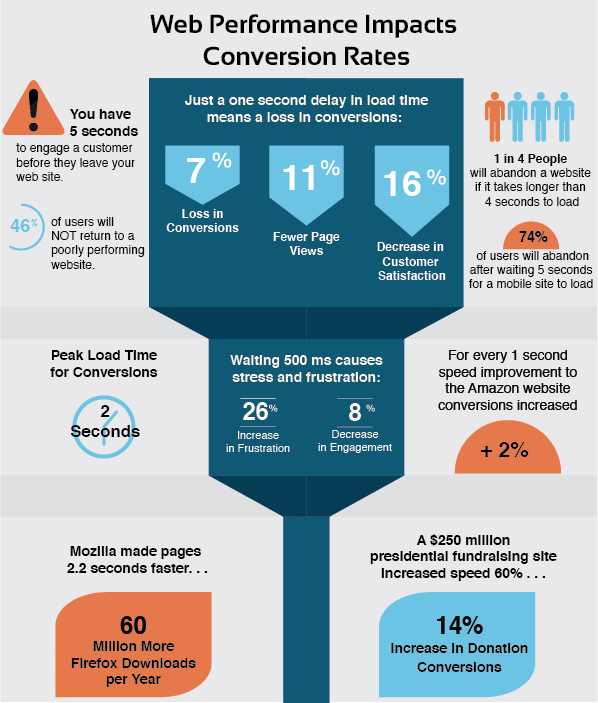 If your website takes too long to load, you will lose visitors, influence and sells. Choose a reliable web host. Avoid shared hosting plans. Page.ly, Synthesis, WPEngine and WestHost are few recommended hosting providers for WordPress. 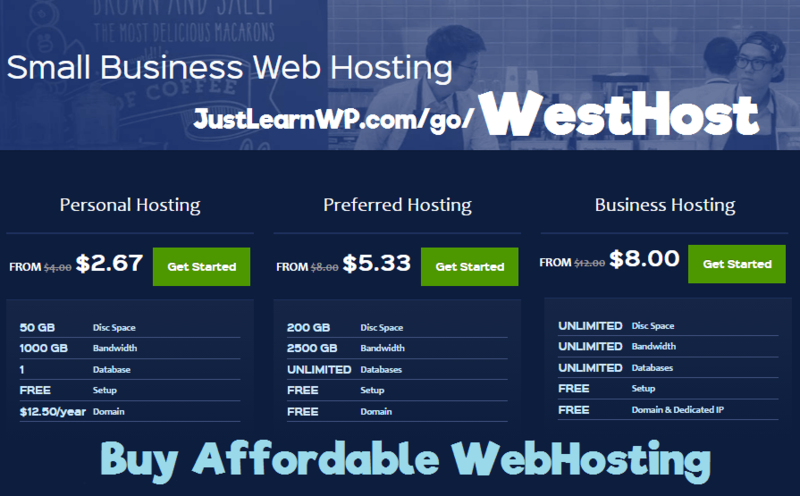 WestHost offers affordable Small Business Web Hosting plans, starting from starting from $4/month. You can Buy Personal Hosting Now and pay only $2.67/month instead of $4/month. With 1 million+ active installs, W3 Total Cache is one of the most popular WordPress plugins. This is most popular speed optimization plugin for WordPress. This powerful and popular plugin is recommended by Page.ly, Synthesis, DreamHost, MediaTemple and used by AT&T, stevesouders.com, mattcutts.com, mashable.com, smashingmagazine.com, makeuseof.com, yoast.com and many others. WP Super Cache is most popular and very fast caching plugin for WordPress that produces static HTML files. WP Super Cache plugin generates static HTML files from your dynamic WordPress blog. Serving static HTML files will be always faster than PHP/MySQL application. After an HTML file is generated your webserver will serve that file instead of processing the comparatively heavier and more expensive WordPress PHP scripts. WP Super Cache will serve static files to users who are not logged in to the WordPress site, visitors who have not left a comment on your blog and users who have not viewed a password protected post. Website security is very important? Your website is your brand, your storefront, and often your first contact with customers. Make sure your website is safe and secure. There are many free and premium security plugins available for WordPress. Here is a list of few best WordPress Security Plugins. Sucuri Inc is a globally recognized authority in all matters related to website security, with specialization in WordPress Security. The Sucuri Security WordPress Security plugin is free to all WordPress users. Sucuri Security WordPress plugins offer Security Activity Auditing, File Integrity Monitoring, Remote Malware Scanning, Blacklist Monitoring, Effective Security Hardening, Post-Hack Security Actions, Security Notifications and Website Firewall (add-on). With 1 million active install Limit Login Attempts is the most popular plugin to secure WordPress login page. This popular security plugin limit the number of login attempts possible both through normal login as well as using auth cookies. You need to limit login attempts because by default WordPress allows unlimited login attempts either through the login page or by sending special cookies. It means the hacker can use brute force attack on your site. Regular WordPress backup is the best thing you can do for your business website. Many free and paid backup plugins available for WordPress. Your WordPress database contains every post, every comment and every link you have on your blog. If your database gets erased or corrupted, you stand to lose everything you have written. If you are going to publish new content on daily basis, don’t forget to change the frequency of your back ups. VaultPress creates daily back ups, If you are going to use free plugin like WordPress Backup to Dropbox to create backups, go to settings page and change frequency (daily, weekly, fortnightly etc). VaultPress was started by Matt Mullenweg (WordPress co-founder) and his team (Automattic). VaultPress makes it easy to keep an up-to-date backup of your business site with both daily and realtime syncing of all your WordPress content (posts, pages, pictures, media, comments, revision, and settings). To ensure your site stays safe, VaultPress also performs security scans daily and makes it easy to review and fix threats. Basic plan is starting from $9/month. Basic plan has all the features you need to keep your site’s content safe, secure, and protected from spam. If you only need backup and restore functionality, Lite plan ($55/year, $5/mo) is also available. With 800,000+ UpdraftPlus is one of the most popular free Backup Plugin for WordPress. You can create complete backups manually or scheduled backups. UpdraftPlus allows you to backup WordPress to S3, Dropbox, Google Drive, Rackspace, FTP, SFTP, email + others. You can restore database with a single click. The paid version of UpDraftPlus can back up to Microsoft OneDrive, Microsoft Azure, Google Cloud Storage, SFTP, SCP, and WebDAV. With Analytics plugins, You can see how many people are visiting your site, where they come from, which content is more popular and a lot of other statistics. Google Analyticator is very popular and free plugin to view your Google Analytics reports and real-time statistics inside WordPress. Google Analyticator makes it super easy to view Google Analytics within your WordPress dashboard. This eliminates the need to edit your template code to begin logging. Google Analyticator also includes several widgets for displaying Analytics data in the admin and on your blog. The is a free plugin to easily add Google Analytics tracking code to your WordPress website. This up to date plugin provides all the necessary options to easily customize the tracking code to best fit your requirements. With this free plugin, You will be able to Anonymize IP address to mask the user IPs, or choose to track links with same destinations, buttons, menus and search boxes with “Enhanced Link Attribution”. After authenticating your Google Analytics account, You can check the traffic of any website associated with your account. You can quickly and easily switch between different website reports. 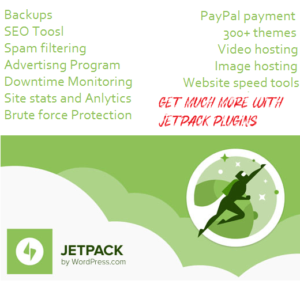 JetPack is one of the most popular and feature rich plugin for WordPress. It offers more than 30 modules to add different features to your WordPress site. Stats are automatically enabled when you activate and connect Jetpack to WordPress.com account. Search Engine Optimization is very important part of business blogging. With Good SEO strategy You can drive a massive amount of traffic to your blog. There are many free and premium SEO and Analytics plugins available for WordPress. With 1 million+ active installs, Yoast is most popular WordPress SEO plugin. It is an advanced Search Engine Optimization plugin for WordPress. Yoast SEO allows you to optimize every blog post and helps you to write better content. Yoast SEO forces you to choose a focus keyword when you’re writing your articles, and then makes sure you use that focus keyword everywhere. The most downloaded plugin for WordPress (almost 30 million downloads). You can use All in One SEO Pack to automatically optimize your business site for Search Engines. Support for XML Sitemaps, Google Analytics, Custom Post Types SEO, Advanced Canonical URLs is available. Images are very important part of any website. Product images, screenshots, Infographic will help understand your article/product a lot. “A picture is worth a thousand words”. Images are very important part of any website. Your Products page need images of your product and your team page needs pictures of your team. Always Properly name your images. Such as iphone-7.jpg is much better than phone.jpg. Always add Alt tag and title tag, provide. The ALT attribute is very important part of search engine optimization. Alt attribute and proper file name describe your images to search engine and when a user searches for a certain image this is a key determining factor for a match. There are many free plugins available to optimize your images for Search Engines. I am going to share two plugins. with 200,000+ active installs, SEO Friendly Images is the most popular plugin to optimize images. If your images do not have ALT and TITLE already set, SEO Friendly Images will add them according to the options you set. is an up to date free image optimization plugin. It requires WordPress 3.3+. The SEO Optimized Images plugin can dynamically insert alt attributes and title attributes to your Images. You can insert image name, post title and post category in the title of an alt attributes of the image. Contact pages are very important pages on your website. WordPress does not offer a built-in solution to create contact forms. There are many free and premium plugins available to create simple and advanced forms. Gravity Forms is most popular premium contact form plugin for WordPress. With Gravity Forms not only, you can create simple contact forms but also much more advanced contact forms spanning multiple pages. Gravity Forms is one of the most advanced (and most popular) contact form builder plugin for WordPress developers and advanced users. Basic Add-Ons: ActiveCampaign, AWeber, Campaign Monitor, CleverReach, Emma, GetResponse, iContact, Mad Mimi and MailChimp add-ons are available with business and developer license. Contact Form 7 is the most popular (1 million+ active installs) free contact form plugin for WordPress. With this free Contact Form plugin, You can manage multiple contact forms, plus you can customize the form and the mail contents flexibly with simple markup. All forms created with Contact Form 7 supports Ajax-powered submitting, CAPTCHA, Akismet spam filtering and so on. You can also use many other plugins with Contact Form 7 to make it more powerful. Social media is very important for your business. Billions of people are using Twitter, facebook, Instagram, Pinterest and other social networking websites. Don’t forget to make it simple easy for your readers to share your web pages. There are many free and premium social sharing plugins available. Monarch is one of the most popular and very popular premium social sharing plugin for WordPress. You can choose from over 20 social sharing networks to display on your website. It allows you to add and arrange any number of available networks to create a custom collection of sharing options for your readers. To increase social media sharing, Monarch lets you add Sharing Buttons in 5 Different Locations. floating sidebar, Above & or Below Content, On Images & Videos, Automatic Pop-Up and Automatic-Flyin. Different websites, pages, and posts have different social sharing needs. That’s why Monarch developers have included a large selection of locations you can choose to place sharing buttons. allows you to add various social buttons. The default options include Facebook, Twitter, LinkedIn, Google+, StumbleUpon, Pinterest, and Tumblr follow and sharing buttons. The plugins mentioned above cover everything from Site Performance, Security, SEO, Image Optimization, Backups and Social Media Sharing. There are more that I use but it really depends on your site. You don’t need to install every plugin listed in this article. Helpful guidelines. Thanks for sharing valuable plugins list. A very nice guide. I will definitely use these plugins. Thank you for sharing such detailed article and great list of plugins. The modern consumer loves a site that stays fresh and has a modern or trendy feel. More importantly, plugins can extend the capacity of your website and grow your business.WordPress’ development team is constantly working on offering their clients fresh new features and improved functionality. Great job! An article which has everything. I’m using most of this plugins and I’d recommend them all. Have you tried Awontis?